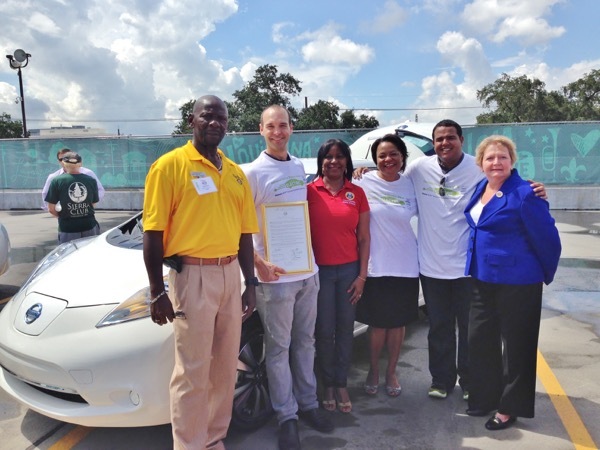 In coordination with the New Orleans City Council, Whole Foods Market, Ray Brandt Nissan, and EV-LA, the Southeast Louisiana Clean Fuel Partnership will be hosting an electrifying, family-fun New Orleans EV Day! 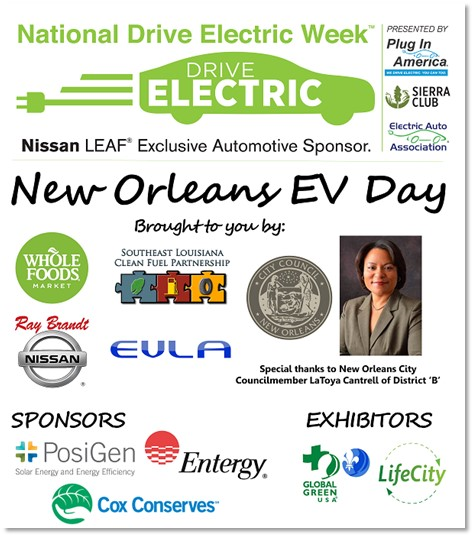 Activities include a special press conference with elected officials, including Councilmember LaToya Cantrell of District ‘B’, announcing both a city proclamation and the winner of a Nissan LEAF® Weekend Giveaway, an EV showcase, charging demonstrations, entertainment, door prizes, and food provided by Whole Foods Market. Register by clicking the grey box on this page to attend. Be sure to like EV-LA's Facebook page and join the local community of EV drivers and enthusiasts! Registered attendees report 109,186 electric miles driven.